At the end of his second term as president, Andrew Jackson was still popular enough that he could have run for a third term if he wanted. Jackson decided to abide by the two term limit precedent set by the previous presidents and instead promoted the candidacy of his vice-president and hand picked successor, Martin Van Buren. It was curious choice given how very different the two men were. Jackson was a rough and ready frontiersman who had worked his way up from an impoverished youth to become a military hero. Van Buren was a smooth politician from New York who was descended from an old Dutch family. Although they agreed on most of the issues, the two men didn’t really have a lot in common. The thing that actually brought them closer together and convinced President Jackson that Van Buren was just the right man to continue his legacy was the Peggy Eaton, or petticoat affair. Peggy Eaton was a pretty young woman from Washington D. C. who had developed a certain reputation by her teens. In 1816, at the age of 17, Peggy eloped with a thirty-nine year old Navy Purser named John Timberlake. Timberlake died at sea in 1828 and Peggy married an old friend, Senator John Henry Eaton. This would not normally be considered scandalous, except that there were rumors that John and Peggy had been somewhat more than friends and that Timberlake had committed suicide because he learned of her infidelities. At the beginning of his first term, in 1829, President Jackson had appointed Martin Van Buren as his Secretary of State and his friend Senator Eaton as Secretary of War, and that was when the scandal broke. Peggy Eaton was accused in Washington society of being an adulteress who had married Eaton indecently quickly after the death of her first husband instead of spending a proper time in mourning. In mean girls fashion, all of the wives of the men in Jackson’s cabinet snubbed John and Peggy Eaton and get their husbands to do likewise. Vice-President John C. Calhoun‘s wife Floride was the ringleader of this clique and this, along with their differences over state’s rights led to Jackson dropping Calhoun from the ticket when he ran for his second term, since Jackson, recalling the vicious gossip about his own marriage to his beloved Rachel, took the side of the Eatons, against his whole cabinet, except for Martin Van Buren, who being a widower did not have a wife to fear. Because President Jackson became involved the petticoat affair caused a schism in his cabinet that made it impossible to govern. Jackson was unwilling to ask his friend Eaton to resign, so in 1831, he had everyone in his cabinet resign and began again with a new cabinet. Since Martin Van Buren was the only member of the cabinet who had treated the Eatons decently, Jackson made him his vice-president for his second term selected Van Buren as his political successor. With Jackson’s support, Van Buren easily won the Democratic nomination for president at the convention that met in Baltimore in May 1836. 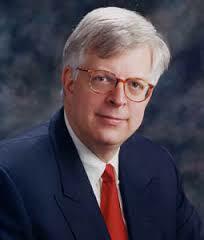 For his running mate, the convention selected Congressman Richard Mentor Johnson from Kentucky. 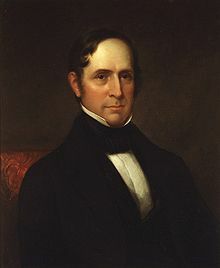 Although Johnson balanced the ticket, being from the South, and something of a war hero from the War of 1812 and the conflicts against the Indians, he was a controversial choice because he had had a longstanding affair with a slave named Julia Chinn, who he treated as his wife. The American Second Party System was still developing in 1836. There had been some opposition to Jackson from a variety of factions and these came together to oppose Van Buren. The National Republicans from the previous election joined with state’s rights supporters and the Anti-Masonic Party to form the Whig Party. The Whig Party was only united in their opposition to Andrew Jackson and they never did form a coherent party identity before breaking up over the slavery issue. In 1836, this disparate group could not settle on a site for a national convention or a single candidate, so they nominated three presidential candidates with each man appealing to a different region of the country. First there was Senator Daniel Webster from Massachusetts. He was a supporter of Henry Clay and could win New England and the Anti-Masons. Senator Hugh White from Tennessee could attract voters from the South. Finally, there was William Henry Harrison, a Senator from Ohio and the first governor of the Indiana Territory, he was most famous for leading the military force that defeated Tecumseh’s coalition of Indians at the Battle of Tippecanoe. Harrison, then, was a war hero who could really the West. The Whigs hoped that each candidate would be popular enough to defeat Van Buren in his region and since no candidate could gain a majority. The House of Representatives would select the new president from among the top three, presumably Whig, candidates. It was an unusual strategy that has never been tried again. Perhaps because it didn’t work. There is not much to say about the actual campaign. There was a great deal of personal invective from both sides. The Whigs assailed Van Buren for being merely a clever politician without character or principles who was evasive on where he stood on the issues. The Whigs in the Senate, over which Van Buren presided as part of his duties as Vice-President, tried to embarrass Van Buren and arranged for tie votes, which would oblige Van Buren to cast a deciding, and possibly controversial, vote. The Democrats portrayed Van Buren as a worthy successor to Jackson and attacked the honor and credentials of the three Whigs. In the end, the Democrats proved to be far better organized than their opponents and proved to be far better at rallying their supporters. Van Buren won the majority he needed. He won 764,168 or 50.9% of the popular vote. He won 170 electoral votes from states all around the Union. Of the three Whigs, William Henry Harrison proved to be the most popular with 550,816 or 36.6% of the popular vote. Harrison won the mid western states Indiana, Kentucky, and Ohio, as well as Maryland, Delaware, New Jersey and Vermont for a total of 73 electoral votes. Hugh got 146,109 or 9.7% of the popular vote carrying only Tennessee and Georgia with 26 electoral votes. Daniel Webster won only his home state of Massachusetts and 14 electoral votes. Webster received 41,201 or 2.7% of the popular vote. There was one more Whig, Willie Person Magnum who got South Carolina’s 11 electoral votes. South Carolina was the only remaining state in which the electors which selected by the state legislature rather than by popular vote. Van Buren’s running mate, Richard Johnson, proved to be very unpopular in the South because of his relationship with Julia Chenn, and 23 of Virginia’s electors who supported Van Buren refused to vote for Johnson. As a result he only received 147 electoral votes, one short of a majority. Johnson easily won the Senate vote which was along party lines 36 for Johnson to 16 for the Whig Francis Granger. There has already been a lot written about the controversy engendered by the recent passage of the Religious Freedom Restoration Act here in Indiana and I don’t suppose I have much to say that hasn’t already been said. I am sorry to see my state become a front in the never ending Cultural War and I especially resent the slanders that the progressives have made about Indiana’s bigotry and backwardness. Still the experience has been edifying since the people on the left have once again demonstrated how mendacious, intolerant, ignorant, bullying, and just plain mean they are. This comes as no surprise to anyone who has been paying attention to their antics, but maybe those who have imagined that they could get by by minding their own business will learn better. There are a few random observations I would like to make about the whole situation. Maybe I am not the only person who has noticed these things. I wonder if the people who have been comparing the RFRA to the Jim Crow laws of the Old South are really aware that Jim Crow did not permit racist business owners to discriminate against Blacks, they required them to discriminate regardless of what they might want. Now, of course, most White businessmen in the Old South were fairly racist and didn’t have much of a problem with segregation, but they didn’t necessarily want to discriminate against Blacks if such discrimination cost them. Owners of public transportation such as railroads didn’t particularly want the added cost of separate accommodations for Whites and Blacks. Owners of hotels and rental property found it burdensome to maintain separate facilities for Blacks and Whites. What do you suppose would have happened if a business owner decided that due to his religious convictions it was wrong to discriminate against Blacks? Aside from from facing the full force of the law which required discrimination, it is likely that he would have lost most of his White customers. They would have boycotted him. Perhaps there would have been a campaign of intimidation led by the Ku Klux Klan to force him to comply with the local mores or close his business. Now, which side in this debate is using boycotts, intimidation, and ultimately the law to force compliance? Am I the only one who finds the whole scenario of the gay couple walking into a bakery, florist, or wedding planner’s office, etc, asking them to provide for their “wedding” only to be refused on religious grounds and then suing the business into compliance just a little suspicious? I suspect that the majority of such businesses would have no scruples about taking their money and performing any desired service. Many wouldn’t want to be involved in any controversy. How is it then, that we keep seeing religious business owners getting into trouble? Are Christian owned businesses deliberately being targeted? What would be the purpose of such a campaign, to provide object lessons for anyone who might not want to go along with the latest PC rules? Should I be fitted for a tin foil hat? I would like to propose a thought experiment. Let us say there is a preacher, who we will call “Brother Bob”, who has routinely preached against homosexuality in a not very nice way. In fact, let’s say he was only a step above the Westburo Baptist Church. Now, suppose the congregation of Brother Bob’s church wanted to honor him for twenty years of service by throwing a party for him. To make the arrangements for this celebration, they go to a local caterer which happens to be owned by gay man named Jim, who finds Brother Bob’s preaching to be deeply offensive and hurtful. Should Jim be required to cater a party in Brother Bob’s honor even though it will make him feel uncomfortable? I think that the majority of the tolerant progressives who have opposed the RFRA would say that Jim should not be forced to served Brother Bob since Brother Bob is a bigot and a hater and thus has no rights. They probably wouldn’t state their position in precisely those words, but that would be their position. The small minority who are actually able to think these things through and have some notion of adopting a consistent ideology might say that Jim should not be able to discriminate against Brother Bob regardless of his personal feelings. But why should Jim be forced to provide a service he doesn’t want to? Why should a baker be forced to bake a cake for a gay “wedding” if he doesn’t want to? Why is it so controversial to just let people mind their own business and live and let live? The people opposed to laws like the RFRA say that they are not, in any way, opposed to religious freedom, just to bigotry. They graciously allow everyone to have their own opinion about religion provided that opinion is kept privately in the home or the church. Any attempt to live by the principles of one’s religion is only tolerated so long as the actions are in accord with progressive values. If the actions are not in accord with their values then they are bigoted and should not be permitted. Isn’t this a little like the old Soviet constitution which granted all sorts of civil rights to Soviet citizens but only so long as the use of those rights were in accord with socialism? I wonder where all of this is going. I have to say that the hatred and disinformation directed at my state and some of the people who have only given honest answers to reporters is a little discouraging. I really don’t want to live in a country where I have to watch what I say for fear of losing my livelihood, or worse. It is possible that we will be facing a government shutdown in the near future. Of course, the government won’t really be shut down. The essential functions of the federal government will continue to be funded. It will be interesting to see just what the government is doing that we won’t miss. It may even be that life will go on as normal, even with a partial government shut down. In any case, Joshua Green at the Boston Globe is actually rooting for a government shutdown. He thinks that if may restore sanity to Washington. I doubt that anything could accomplish that aim. There are a couple of statements in his column that I have to take issue with. Anyone paying attention to Washington this week has probably experienced a familiar sinking feeling: Congress is embroiled in another one of its periodic hostage-taking crises over a looming budget deadline that threatens to close the government, cost taxpayers billions, and possibly plunge the economy back into recession. Hostage taking? Who is being held hostage? It seems to me that the government would run a lot more smoothly if politicians would stop referring to their colleagues who happen to oppose them as terrorists or hostage takers. When you start insulting people, it becomes very difficult to work together. Whatever happened to civility? Oh, I know. Civility only really meant, “sit down and shut up”. If the situation were reversed and we had a Republican president and the Democrats in Congress were opposing him, liberals would applaud the Democrats for standing up to the President’s evil agenda, while conservatives would be demanding the Democrats support the president because he won the election. The fact is that the Republicans are under no obligation to support the president’s agenda when if he had been re-elected in a landslide. At this moment, they are the opposition party. It is actually their job to oppose the president. In fact, the men who wrote the Constitution wanted something like gridlock. They didn’t want a majority to simply be able to roll over the minority nor did they want the government to be able to act recklessly. Congress might start working again. The severity (and danger) of budget crises has steadily intensified as Congress has stopped working the way it is supposed to. It no longer operates as civic textbooks describe, where committees in both chambers study issues, pass bills, and then reconcile them in a formal negotiating conference. Instead, party leaders began resorting to last-minute, back-room deals. But Republicans, bitter about the deals they were getting, forced their leaders to stop. That led to the current system of negotiation-by-public-threat. A shutdown would be a bracing reminder to one party or the other (my money’s on the Republicans) of why the Gingrich approach failed so badly. When that lesson sinks in, the old, saner way of doing things will probably look much better. The old, saner way of doing things is why we are in the mess we are in. The Democrats seem to think that they can just print more money and too many Republicans just don’t want to rock the boat. When a few Republican politicians actually begin to insist that the Republicans really try to keep their promises to balance the budget and decrease the size of government, they are labeled extremists and crazies and their leaders try to undercut them. It has come to the point that only drastic action, such as threatening to shut down the government is the only way to make the changes that we need. If everyone in both parties actually began to understand that we cannot keep going on the course we have been, then maybe all this drama will not be necessary and they can get to work. About two weeks ago, I read a column at Townhall.com by Kyle Olson, alleging that a school assignment on civics was a thinly disguised attempt at political indoctrination. The crossword puzzle was part of a civics assignment that was forwarded to EAGnews by Tamara Varebrook, a local conservative activist whose eighth-grade daughter received the lesson at Union Grove Elementary School yesterday. Last time we checked, it’s the big government progressives who are determined to restrict personal freedoms. You know, the bans on sugary drinks, fatty foods, snacks at school lunch time, salt intake, etc. I am not sure if political indoctrination is the intent here, although in our public schools that is always a possibility. As far as I can tell, the definitions of liberal and conservative are accurate, at least according to the dictionary. The real problem is that the dictionary definitions of words like liberal and conservative do not do a very good job of describing American politics and are actually very misleading. a. Not limited to or by established, traditional, orthodox, or authoritarian attitudes, views, or dogmas; free from bigotry. b. Favoring proposals for reform, open to new ideas for progress, and tolerant of the ideas and behavior of others; broad-minded. If you think about the history of American politics for the last few decades, it always seems to be the “conservatives who favor new ideas, while the “liberals’ always seem to be the ones who oppose any change. The conservative Ronald Reagan wanted to make changes in the tax code, etc. The liberals in Congress tried to stop him. Newt Gingrich was the conservative who wanted to change things. His opponents were the Democrats who wanted to keep things the same. The conservative George W. Bush wanted to partially privatize Social Security to keep it solvent. The liberals were determined to prevent any reform of Social Security. More recently, the conservative Paul Ryan has wanted to change Medicare and make cuts in government spending. 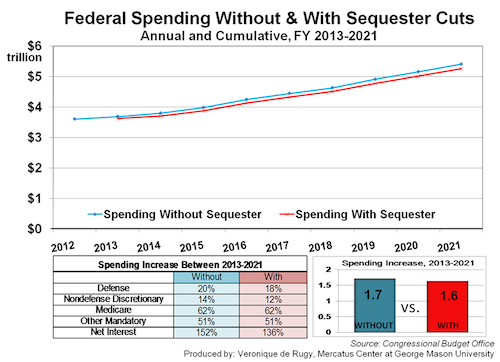 The liberal Barack Obama wants to keep Medicare the same and continue to increase government spending. Conservatives believe that racial attitudes in America have changed sufficiently that laws passed in the Civil Rights era may no longer be necessary. Liberals shout, “affirmative action today, affirmative action tomorrow, affirmative action forever!!!”. Obamacare is a major change in the health care system in this country, yet it seems to be a program closer to the sort of one size fits all government programs of Lyndon Johnson’s Great Society or Franklin Delano Roosevelt’s New Deal, than something appropriate for the post-industrial, information age, economy of the twenty-first century. It is a policy taking us back to the past rather than forward into the future. If you go beyond dictionary definitions into the actual ideologies of liberalism and conservatism, the discrepancy becomes even clearer. Historically, liberals have believed in the rights and freedom of the individual, limited constitutional government based on natural rights and natural law, and free trade and the free market. This does not sound very much like the beliefs of contemporary liberals. Conservatives have generally emphasized tradition,religion, authority, the concept of society as an organic whole, property rights, and the concept of experience over ideology in setting policies. I am not sure that any party in America entirely subscribes to this set of ideas, not even Rush Limbaugh, who is actually a classical liberal. 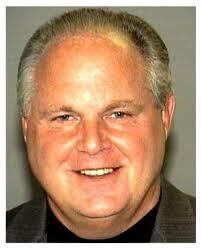 I think that what has happened is that conservatives in America have become conservative about liberal values. In other words the sort of things that conservatives want to conserve as traditions and sources of authority are the classical liberal ideas of human rights and freedom. The political philosophy that has emerged from this amalgamation cannot be accurately described as either liberal or conservative. Perhaps the conservatives ought to be called conservative-liberals, or liberal-conservatives, or something like that. Libertarian would be a good title but it has already been taken by the people who want practically no government at all. What about the “liberals”. I suppose people like Mayor Bloomberg, with his obsession over what New Yorkers eat and drink, as well as many liberals who seek to control our lives for our own good, could be seen as acting in the tradition of paternalistic conservatism. When you consider the liberal desire to prevent any serious reform of New Deal or Great Society programs, this might make sense. Still the liberals seem uninterested in conserving any part of society except for the state and they are certainly not interested in preserving traditional values of any sort. I am tempted to refer to them as Socialists, since many, if not all the people who identify as liberals prefer the widespread government control over the economy that is the aim of Socialism. Since the one value that all contemporary liberals support is the exaltation of the state or government over every other institution, perhaps “Statist” is an appropriate name for them. Since they seem to believe that every aspect of life, even the most personal, should be politicized and under the control of government, totalitarians might be accurate. The Yankees had something to do with it. George Edward Pickett was a general in the Confederate army during the Civil War. He is most famous for leading Pickett’s charge on the last day of the Battle of Gettysburg. He had not been a particularly distinguished officer before the war, graduating last in his class as West Point. Still, he was capable enough to rise in the ranks and led the US forces in the Pig War with Britain. Although he personally detested slavery, he left the US Army when the South seceded in order to defend his home state of Virginia. He was promoted to general in 1862 and commanded a division under General Longstreet at the Battle of Gettysburg. At first the gamble seemed to be succeeding. Although Pettigrew and Tremble’s divisions did not get very far under the Union fire, Pickett’s division attacked the Union lines and a brigade led by General Lewis Armistad actually managed to break through temporarily, but the Union’s position was too strong and when the Union soldiers rallied, they massacred the Confederates. 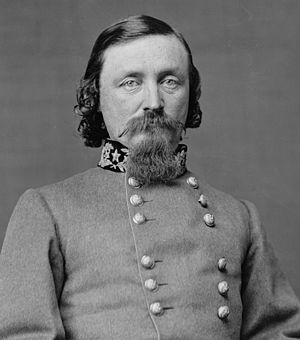 Pickett managed to survive and when he made his way back to Lee, Lee asked him about the condition of his division and Pickett replied, “General, I have no division”. Many years later, Pickett was asked why the South lost the Battle of Gettysburg. Should Lee have disposed his forces differently? Should the attack have begun earlier or later? After thinking about the question for a while, Pickett finally said, “I’ve always thought the Yankees had something to do with it”. As we go over the details of the results of the last election and try to figure out what we did wrong to cause our loss, let us not forget the possibility that the Democrats may have had something to do with it. It is possible that Obama won simply because he ran a better campaign. That is not to say we don’t have anything to learn from this defeat so that we can do better, but perhaps we should study what the Democrats did right as much as what we did wrong. I have just gotten home from voting. As usual, I voted an almost entirely Republican straight ticket. To be honest, I wish there were good people in both parties that I could support, but the Democrats have turned so far into Leftist ideology that even the decent people among them running for office simply cannot be trusted to behave decently. In any event, I voted for Mitt Romney for President, Mike Pence for Governor, and Richard Mourdock for Senator, along with the Republican candidates for Congress, State Legislator, and various local offices. There were four judges asking to be retained. I voted no for all four. I have to say that I am very anxious about this election. I do not see how our country will survive another four years with Obama as President. I wish I knew who will win, but I simply have no idea.